Across the University, we are busy planning to implement the final stage of the Campus Solutions student records system from December 2018. This dedicated Campus Solutions Implementation blog has been created to keep you informed on developments as we work towards the switch from the current records system, Saturn, to Campus Solutions. The former Project Transform blog has been archived, but you can still access all the previous posts here. A link is also provided on the menu on the right. To provide you with more information, here are answers to some of the typical questions you may have regarding the move to Campus Solutions. When will we be moving to Campus Solutions? Campus Solutions has already been rolled out in China and Malaysia and is being used for the administration of current student records and online admissions. 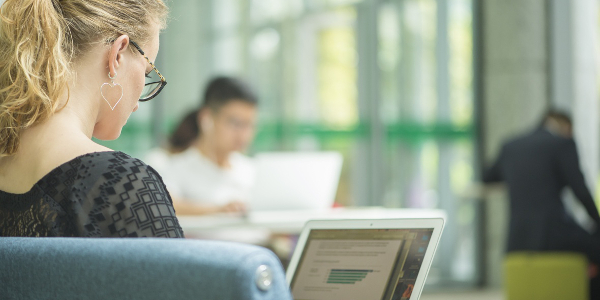 Students on these campuses can view their student record in MyNottingham and complete administrative tasks such as manage their finances, request support, check course information and register for graduation. Campus Solutions is being used by staff in the UK to support all admissions processes, applications for scholarships and associated visa applications. It is also used as the master source for curriculum data that is presented in the prospectus and course catalogue. The switch from the Saturn student records system to Campus Solutions in the UK is expected to commence from the end of November 2018. During this time, data will be ‘frozen’ in Saturn and will be moved across to Campus Solutions – this is known as the cutover period. A specific cutover date will be provided nearer the time. Please note that during the cutover period you will not be able to make changes to student records in Saturn. Colleagues in Student Services will be able to make any urgent changes, which will later be manually input into Campus Solutions. The finance and funding part of the system will go live at the start of the 2019/20 University financial year. Cutover for this will begin in April 2019. Will I still have access to Saturn when the cutover starts? If you have access to Saturn 3, you will not be able to access this system when the cutover starts. If you have access to Saturn Web, you will be able to view student records but please do not make any changes in the system after the cutover commences as they will not be saved. Also note that student records in Saturn Web will not have been updated since the beginning of the cutover period. How soon after the cutover will I have access to Campus Solutions? Staff access to Campus Solutions will be introduced on a phased basis that is aligned to student support and University processes such as student registration, module enrolment and timetabling. We will email you when Campus Solutions is ready for you to access, including a link to the new system. I currently have access to Saturn, does this mean I will have access to Campus Solutions? Academics who teach and supervise students will be able to use the new student management system in the Academic Work Centre. Colleagues will have access to Campus Solutions where there is a clear requirement to deliver student support or for specific University processes. Will all student records be moving to Campus Solutions? Records of students that are currently studying at the University will be moved across to Campus Solutions. Students that have left the University but still have outstanding payments will also be transferred. A process will be put in place for colleagues that require access to historical student records. Will training be provided to me for Campus Solutions? If you will be using Campus Solutions you will be supported by a range of training materials, such as step-by-step guides and training courses if applicable. A demonstration of Campus Solutions will also be available at the Campus Solutions demo roadshows, taking place from the end of October. Why has it taken a long time for Campus Solutions to be rolled out? We need to ensure Campus Solutions is a robust system that meets the University’s requirements and will support the increased volume of users across all UK campuses. The system is very close to being ready for full implementation, however a small number of technical issues still need to be addressed, along with the completion of rigorous testing. It is also important that the rollout does not impact business critical activities such as confirmation and clearing, registration and timetabling. Will there be any further improvements to Campus Solutions? Further improvements and functionality will be added to Campus Solutions in stages. These will be developed and rolled out in the future. How will the systems that receive data or send data to Saturn be affected? Below is a list of the systems that currently receive data or send data to Saturn. These systems will be updated to interface with Campus Solutions in December 2018 or January 2019. Further information on how these systems will be affected during the cutover will be provided nearer the time. BlueCastle Results Publishing will continue to receive data from Saturn for the exams taking place in January 2019. The data source for this system will be changed to Campus Solutions later. If you have any questions regarding other systems please email projectransform@nottingham.ac.uk. Which legacy systems will be removed as a result of the launch of Campus Solutions? The plan for legacy systems is being confirmed. We will be working closely with the users of these systems to confirm the future roadmap for them. Where can I get further information regarding Campus Solutions? We will continue to keep you informed regarding the cutover from Saturn to Campus Solutions on this blog. We are also in the process of updating Workspace pages and will provide a link to these soon. If you have any further questions, please send these to projecttransform@nottingham.ac.uk and we will reply back to you promptly.